Viressa metal eye mask is hand made and accented with rhinestones and metal detail. Mask has a metal core and covered in black flocking. 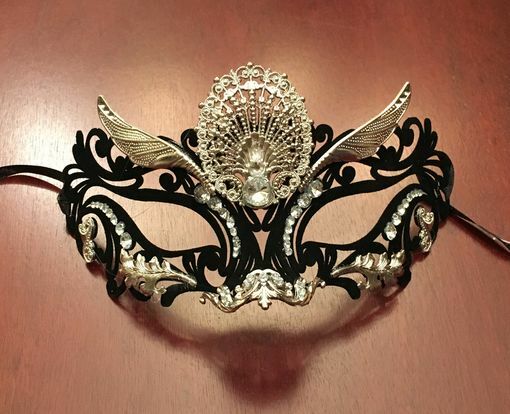 Mask comes with black ribbon ties.